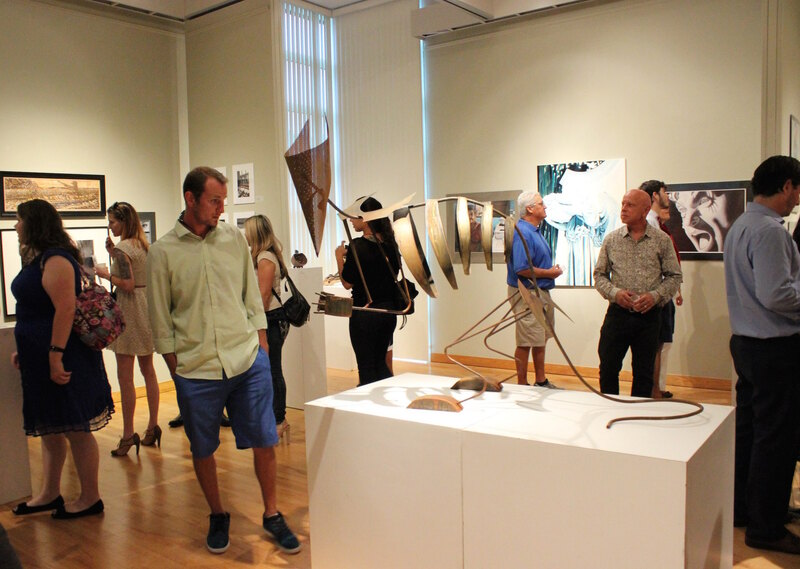 The South Gallery in FSCJ’s Wilson Center for the Arts is hosting the Student Annual 2015: A Juried Exhibit of Art and Digital Media April 14-28. Now in its 29th year, the exhibit aims to give proper recognition to the most talented art students from across the five campuses. 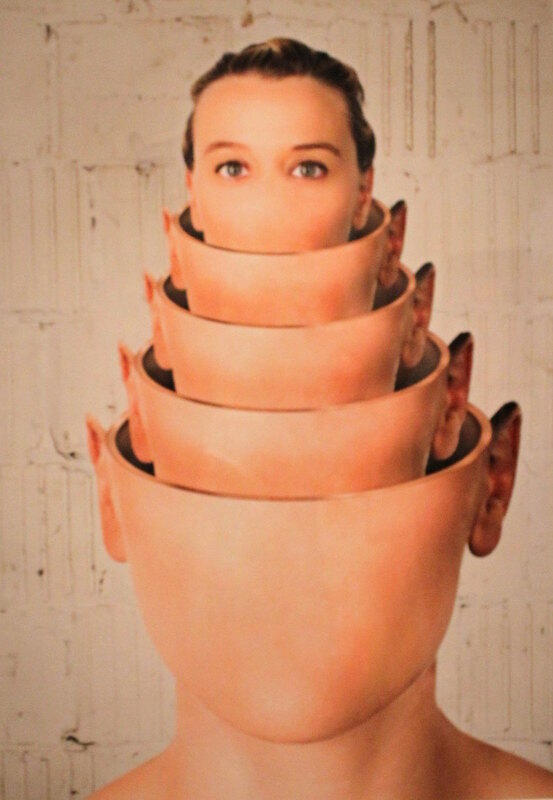 Every year the college receives hundreds of student submissions covering a wide array of artistic inclinations–including printmaking, design, digital media, photography, drawing, ceramics and painting. This year, 130 works of art ultimately made the cut. 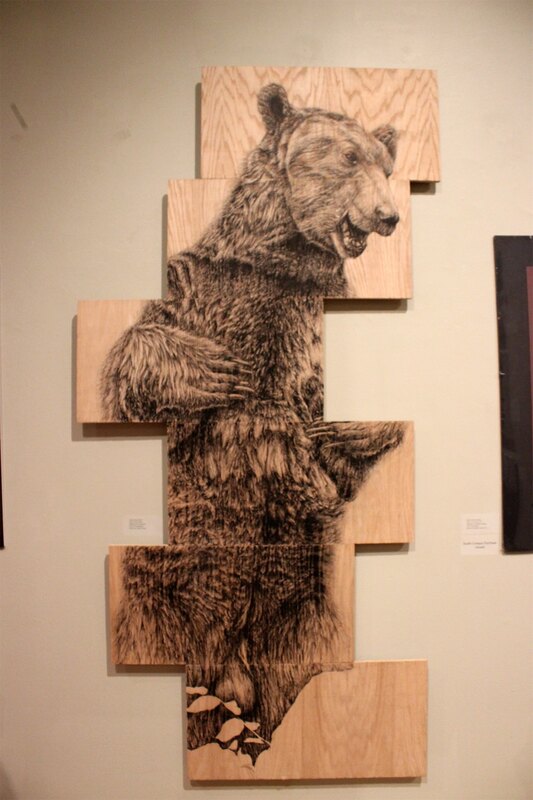 “It’s tough competition…it’s a juried show,” said Dr. Troy Johnson, FSCJ associate dean of arts and sciences. In total, 55 students earned awards on their work. 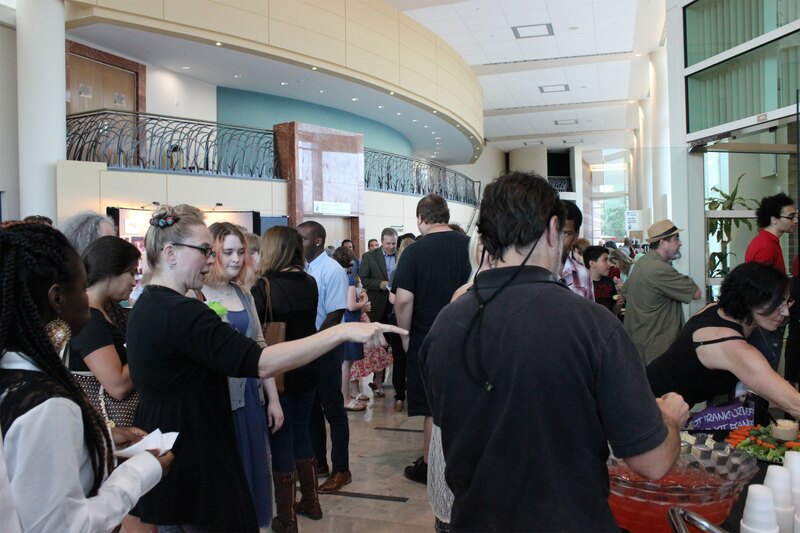 An extensive list of donors, comprised of Robert and Thelma Nied, Reddi Arts, Ainsley Cardinal Warmuth, Jean Shepard and Larry Davis helped to support the event–making it possible for the college to give out a number of purchase awards to buy art from students in order to display their works around campus. “I feel like it [Portrait Study #5] made my mentors proud–my teachers and my family,” said Emanuel Mallory, winner of Best in Show, the Larry Davis Award of Excellence, and a Purchase Award. 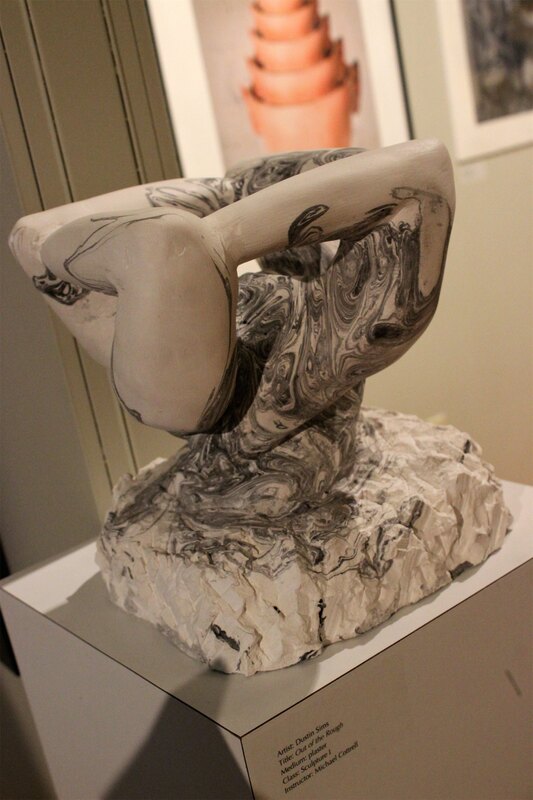 Be sure to stop by the gallery before April 28 to see some incredible works of art by FSCJ students. 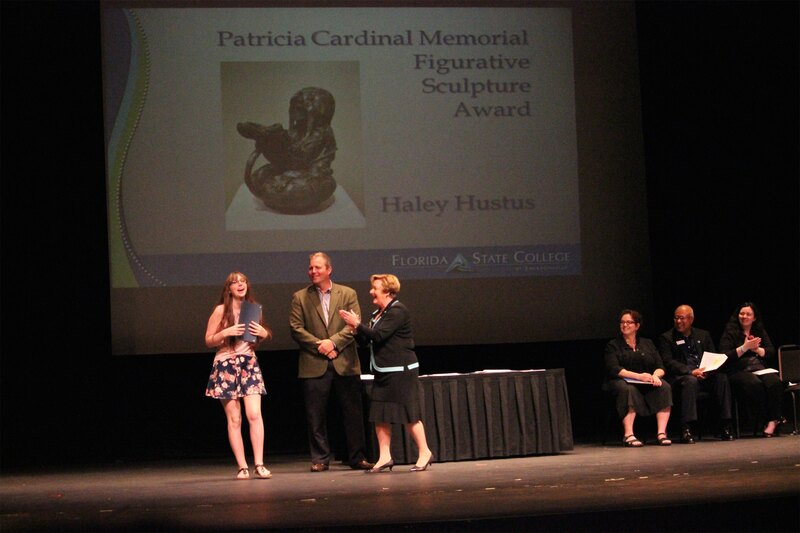 Proud to be a part of this wonderful art event each year, as the sponsor of the Patricia Cardinal Memorial Figurative Sculpture Award.